This morning it was raining and Sue had a dual dental appointments. First, I took her to the oral surgeon to get two abutments installed on her two Titanium implants, which took only a short time. Then we immediately drove over to the dentist office for a rather lengthy procedure. First impressions were taken from which two crowns will be made. Then the dentist fashioned to temporary caps and installed them on the abutments until the crowns are ready. We will return in about three weeks to have the permanent crowns installed. So I did not get to work on the Cloudster 900 until after lunch. 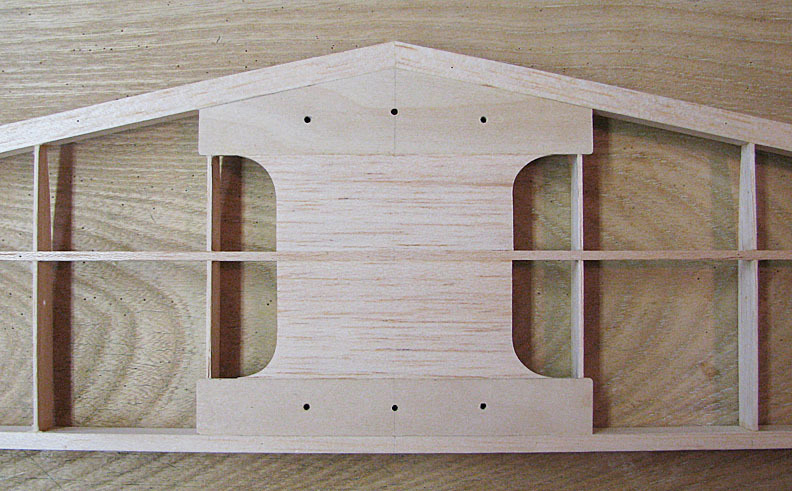 I did manage to get the stab's center section fully planked with 1/16" sheet balsa. The bottom planking on the stab is shown in the picture below. 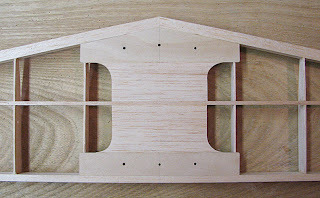 This picture shows the stab's top planking, leaving the slot in the center for the fin. 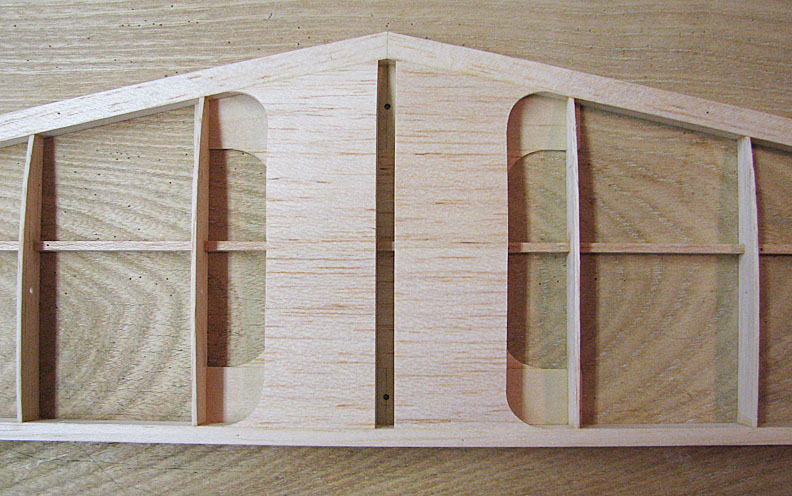 Notice the two holes down in the slot for securing the fin. 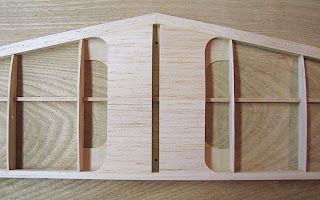 This picture shows the fin installed in the slot. 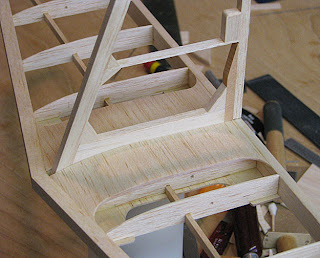 There is still work to do on the fin's little leading edge fairing that goes up to the point of the stab. 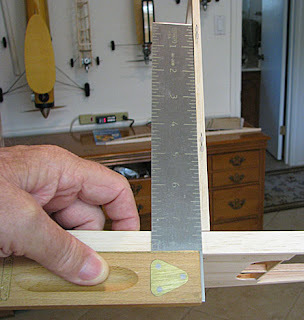 Once the stab's leading edge is trimmed and sanded to shape, the fin's fairing can then be made.